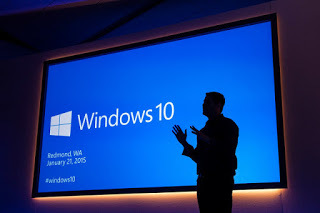 By now, most of us must have heard the trending story about the latest windows version which is windows 10. It is about to be sold and that means it will no longer be free again. So don't hesitate to upgrade to windows 10 as it is free now before it becomes too late. Or you can feel relaxed if you have the money that is $119 for it, and the charging begins from the month of July. As it stands now, Microsoft is saying to all users that free upgrade periods for windows 10 is almost over and in no distant time will implement the amount of $119 ( which is around N36,295 in Nigerian currency) for the upgrade of win 10, by July 30th. Windows 10 was officially released for use last year 2015 and as at that time it was recorded that within the few months it was released, over 75million users upgraded to it. But presently, it's reported stats about upgraded users ranged 300 million. The windows 10 OS is expected from Microsoft to reach a number of billion subscribers within the next 2 to 3 years with the tagged price, how possible is that friends if they finally impose $119 to it? What is your next step about upgrading to windows 10? My Advice to you is for you to upgrade to the latest if your are still running windows 7 and windows 8. Do well to upgrade it to windows 10 now, before July, 26th 2016 as Microsoft stipulated $119 bill to it after the given date above. The effect of the bill will take place by July 30th. Save the money for another thing or leave it if you don't want to upgrade. Are there any information you think we missed about this post, pls do us the Favor by using the comment box to express such.